Over 620 junior Upper Hutt City Footballers enjoyed their first day of the season on Saturday 6 April – from age four right through to the Under 18 players. 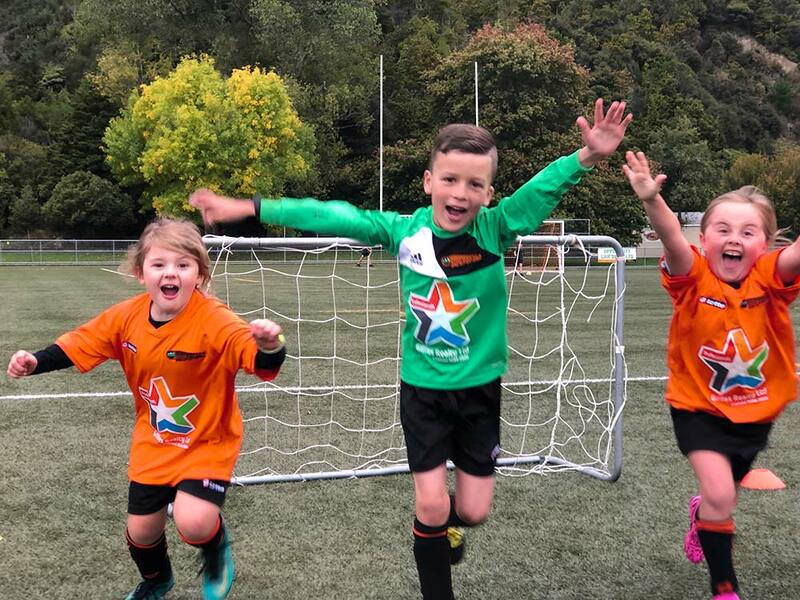 Caitlin, Jack and Scarlett (pictured) were particularly excited about the winter season getting underway as boys and girls in Upper Hutt’s unmissable bright orange took to pitches all across the Hutt Valley and Wellington region. Our First Kicks grade manager James Lamb says that even with grey Autumn skies, the buzz of the Maidstone Park all-weather turf is hard to beat when we have 230 of our youngest players, their coaches and their parents bringing football alive on a Saturday morning. There are a limited number of places in our youngest First Kicks grade still available.